Application: Used in such a place,there are strict requirements about conductivity ,for example, industrial fabric etc.Faster release of static electricity,a better resistance to high temperatures than Nylon,can even be used to produce conductive line of special sensors. 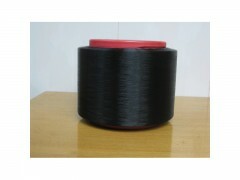 Remark: The base material of this conductive is polyester , therefore , the following two situations must to be avoided . 2.the repeatedly treatment of low concentration alkali.